Our units harvest power from all alternative energy sources as well as the grid itself, while staying as efficient as possible. If you already use alternative energy, or would like to in the future, Power Up offers a single unit to combine all aspects of harvesting, storage and distribution of your electricity. Power Up harvests and stores energy from solar, windmill, hydro, the grid or your generator and automatically feeds the power back to you when you require. The system will first draw power from solar then look for other alternative energy sources before it draws power from the grid. It can also be programmed to draw from a generator if you have one installed. 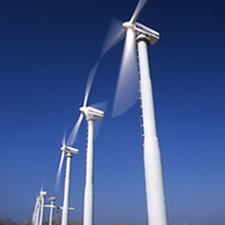 A windmill is inefficient and expensive but can be connected directly into the Power Up unit. 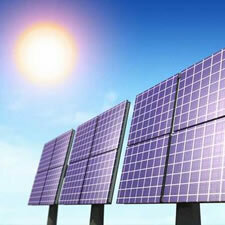 The system does not have to be connected to solar panels this can be done at any time in the future. The advanced maximum power point tracking controller will ensure that power is optimally supplied from a solar connection. This will insure that your batteries are optimally charged in as short a time as possible and if you are using the solar to run your house or office you harvest the maximum amount of power. A solar connection is directly into the Power Up control unit and there is no need to install any other control unit other than a circuit breaker prescribed by your electrician. 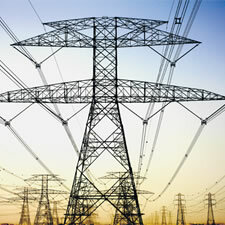 Power Up will supply solar panels and installation to our customers at preferential rates. The Power Up unit will recognize the grid and draw power from the grid if there is insufficient power available from the solar installation. Where you have differentiated billing, i.e. you are charged a higher rate for electricity in the evening, the Power Up unit can be programmed to shut off the grid and utilize cheap power you have saved in your batteries from the grid or solar. The Power Up unit can be also be used as a UPS when your generator picks up for a grid failure. The Power up Unit can be programmed to switch your generator on should there be insufficient power from the grid, solar or saved in your batteries. Special switching gear will have to be installed should you wish to link the generator. 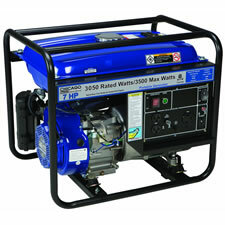 Power Up will supply high quality generators to our customers at preferential rates.